JazzyFunk is an experimental indie dance, nu disco band with funk, jazz and soul influences. It was formed in 2009 and the concept is based on customizing live shows with a full involvement with the audience, making it a complete performance experience. Collaborations with vocalists, sax and percussion musicians allow them to have a great variety of sounds to expand and amplify their live experience. They signed their productions in the past on good dance labels like Enormous Tunes, Kontor Records, Embassy One, Armada Music, Nurvous Records and many more and worked with some of the best nu disco producers like Mark Lower or Vintage Culture. 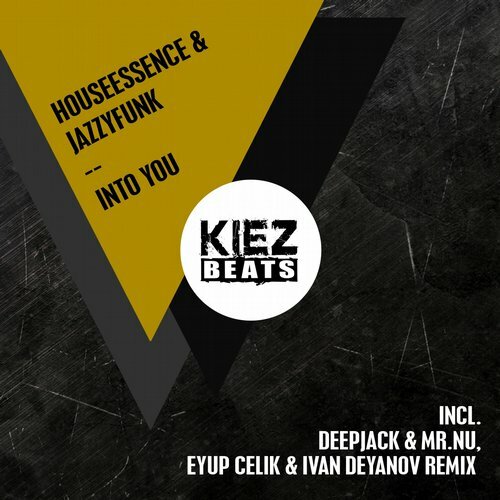 Together with HouseEssence their new track Into You is a love declaration, a tribal atmospheric house tune for fans of the typical Nora en Pure, Pretty Pink or EDX sound and the release is complete with additional remixes from Deep Tech House producers Eyup Celik & Ivan Deyanov and Deepjack & Mr.Nu.